Fits all R1200 Hexhead & Camhead bikes (R1200GS/GS ADV/ R/RT/ST/S/HP2). Also fits all K1600 models. The AF-XiED O2 sensor manipulator is a plug and play O2 sensor controller that allows you to change the closed loop fuel injection air/fuel ratio from the stock overly lean 14.7:1 ratio (the main culprit in surging and poor throttle response issues) to as low as 13.6:1. It is a simple plug and play device that plugs in between your stock O2 sensors and the bikes wire harness and is easily adjusted with a small screw driver. Two control modules are included, one for each O2 sensor. Advanced circuitry changes the O2 signal sent to the stock BMW Motronic fuel injection brain to achieve a richer air fuel ratio. Benefits include elimination of surging, much better throttle response and acceleration, better pull from low rpms in all gears, the ability to ride a gear higher than normal and reduced pinging. 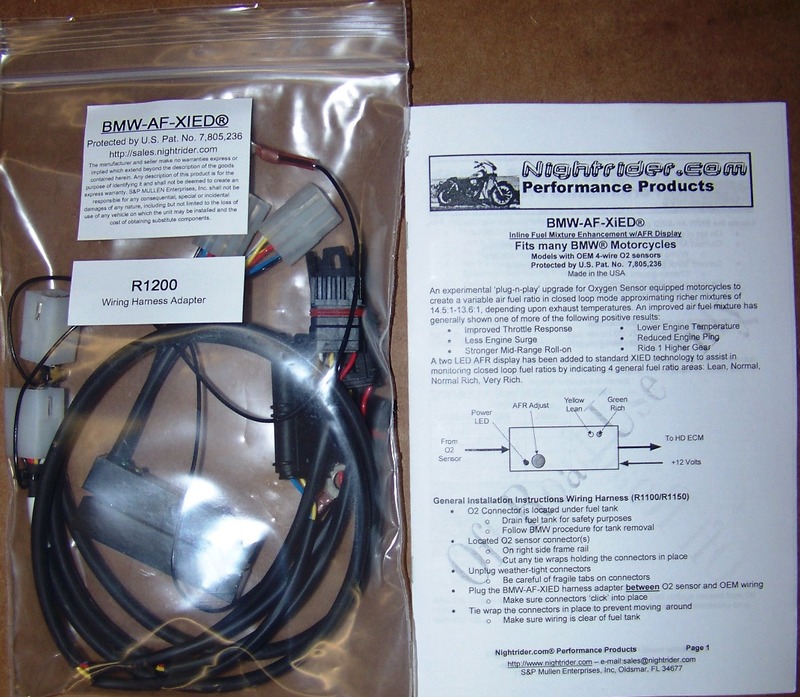 This is a much simpler, more elegant and less expensive solution than piggy-back fuel controllers like the Power Commander to the notorious lean running condition on the BMW R1200 Hexhead and Camhead, bikes. The BMW-AF-XiED allows the full use of the Motronic and leverages its adaptive abilities to also richen open loop air/fuel ratios. After a couple tank-fulls of gas your bikes Motronic will have full adapted and the bike will be running better and better. 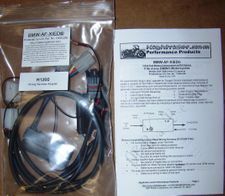 We have tested this device back to back with a dyno tuned Power Commander on one of our personal bikes and came away so impressed we sold the Power Commander and started carrying the product - it is that good! Fits all R1200RT/R/S/ST/GS/GS ADV & HP2 bikes. Also fits all K1600 models.